Considering that this past week has been devoted to mental health awareness, you’ve probably realized that mental health is a significant problem at IMSA. So significant, in fact, that students are allowed to skip classes due to mental health issues. This goes beyond excusing students from class to go to off-campus counseling or the like. Students can skip any classes on any given day, due to a diagnosed or undiagnosed mental health issue. This is called a stress mod – when students are so stressed that they have to skip class, because they need the time to do homework and alleviate their stress. However, the question lies in whether these should truly be allowed. Upon coming to IMSA, students are immediately made aware of the risks to their mental health – through the sophomore welcome sessions, various wing programs, upperclassman advice, and Student Council’s annual Mental Health Initiative Week. It’s safe to assume that nearly all students are very aware of the dangers to their mental health. Given this, shouldn’t students be capable of reaching out and getting help before it comes to skipping a class? Wouldn’t skipping a class, and missing the material taught in that class, only increase a student’s stress? Athena Zheng (‘20) commented, “It’s good that [stress mods] are a thing, but I wouldn’t want to skip class just because I feel too stressed… I wouldn’t want to miss out on [class] material and stuff.” If students are feeling stressed, they should skip lower-priority club meetings or sports practices before it comes to skipping classes. Now, of course, mental health issues are legitimate medical concerns that should be addressed immediately. And for those cases, stress mods should definitely be allowed. A student’s health should always come before their academics. Taking a mod off would allow a student to seek help from IMSA’s counselors or the school nurse. But the problem with stress mods is that they’re easy to abuse. Stress mods are theoretically used only if students are feeling unusually stressed or have a mental health disorder. But this all depends on how you define “unusually stressed.” When it comes to diagnosing mental health issues, everything is very subjective. What is the difference between normal stress and chronic anxiety, or between sadness and clinical depression? Can we trust students to tell the difference for themselves? How do we know if someone is pretending to have a mental health issue as an excuse to skip class? 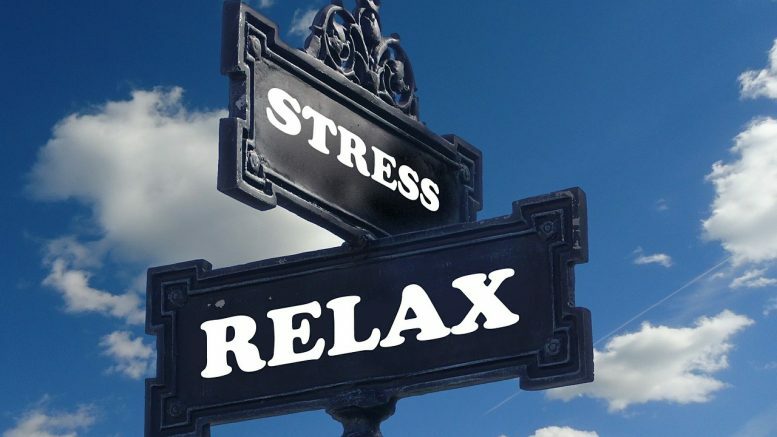 Stress mods have their advantages when used properly and disadvantages when used improperly, and this issue is complicated because the definition of using stress mods “properly” is extremely subjective. There is probably no final resolution to the issue of mental health at IMSA. But a primary theme of Mental Health Initiative Week is that students should reach out and seek help when they think they have a mental health issue – or even when they don’t have a medical problem and are just feeling stressed. As Annie Xu (‘19) wrote in a Facebook post to the IMSA community in honor of Mental Health Initiative Week, “IMSA can get really hard… When it gets to be too much, I really encourage you all to reach out and talk to people.” And, ideally, students will reach out and get help before their mental health issue escalates to the point where they must miss class because of it. 1 Comment on "Missing Class for Mental Health: Should Stress Mods Be Allowed?" 1. Warn the applicants and parents: IMSA students are subjected to extreme academic workload, causing up to 20% of the students to drop out. Those vulnerable need no apply. 2. Leaving their home to a boarding school requires mental courage, discipline and adjustment. 3. Reduce the service hours for graduation to free up student obligation. 4. Cut back LEADs and mandatory training. 5. Free up student time for extracurricular activities of their own choosing. ‘Stress mods’ is a fancy term for ditching class, except it’s legal, leading more of it.